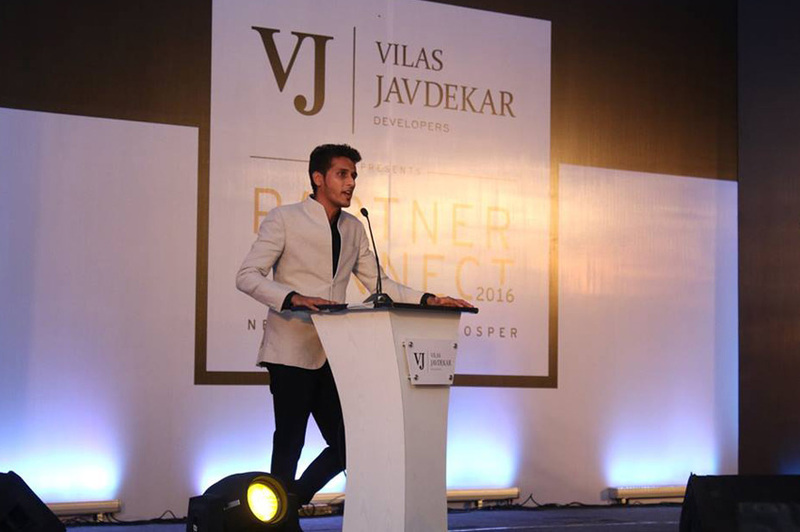 Over the years, the success story of Vilas Javdekar Developers has been crafted by the sustained efforts of two forces. 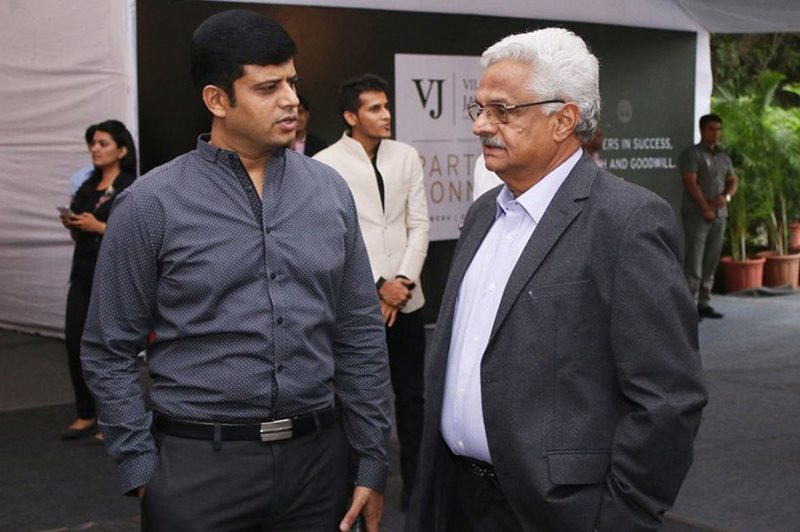 One - the very philosophy which drives our team. 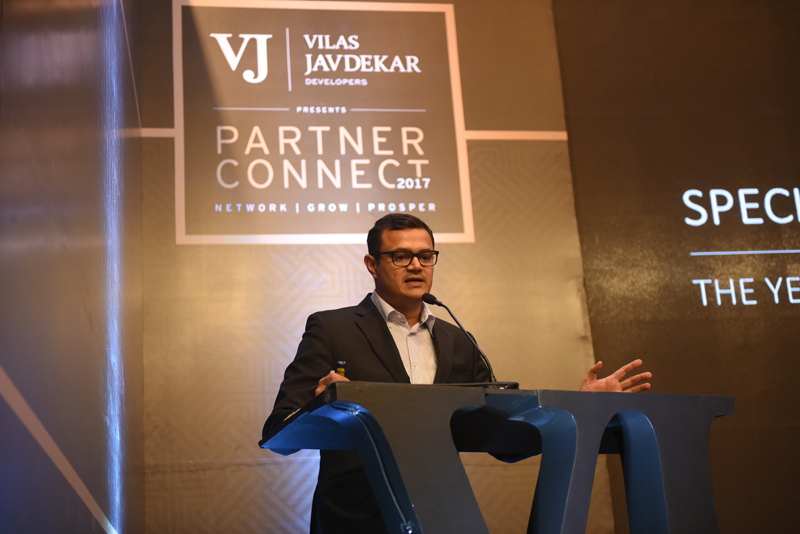 And two – our growth partners. 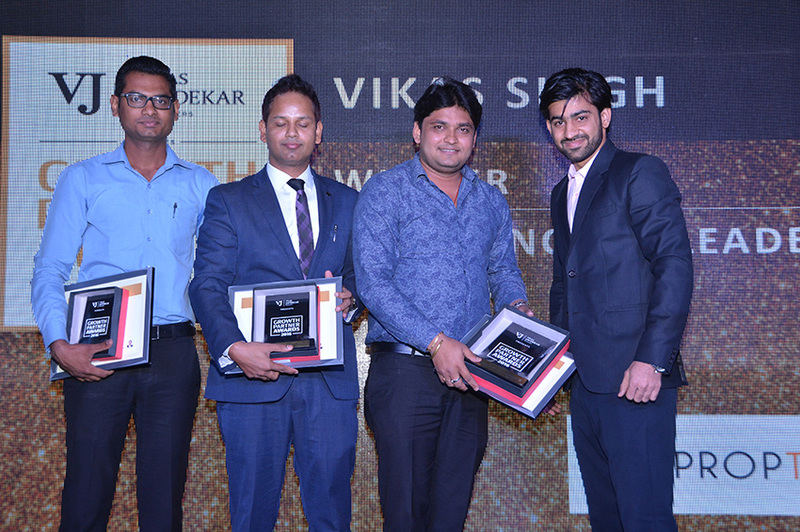 We continually strive hard to deliver the best. 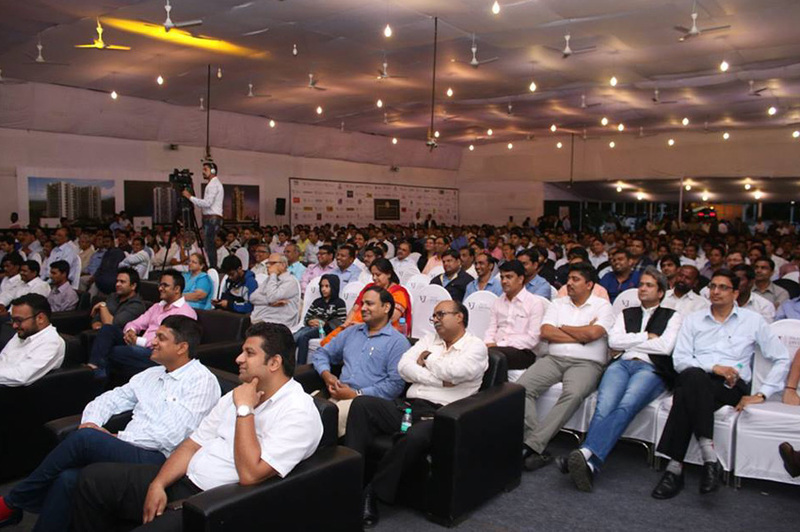 But it is their relentless effort which contributes to help us grow. 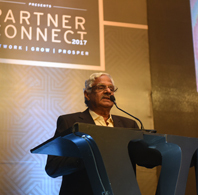 While we infuse our every endeavour with the qualities that set us apart, it is their prowess that drives our product into motion. 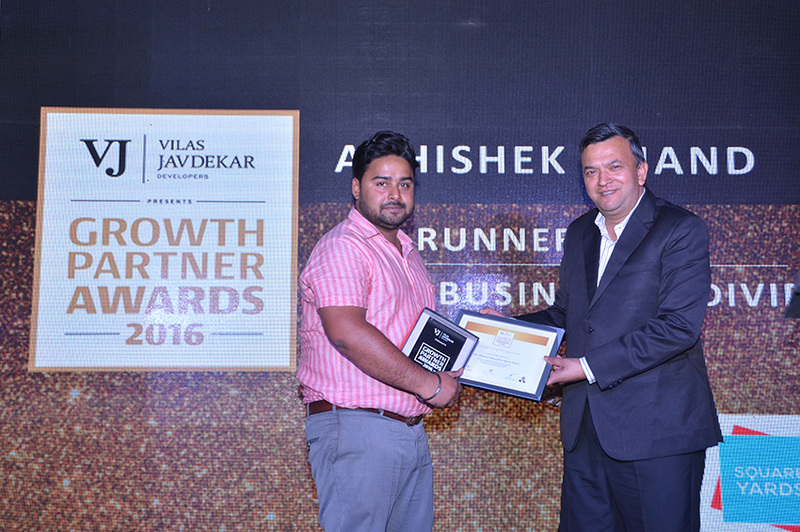 We see them as our partners in growth. 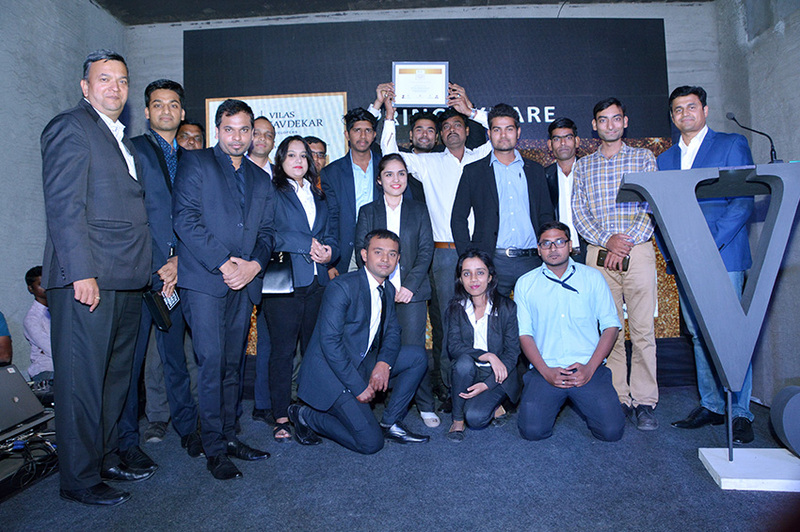 And we consider it an honour to be growing synergistically with them. 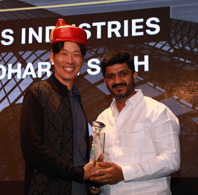 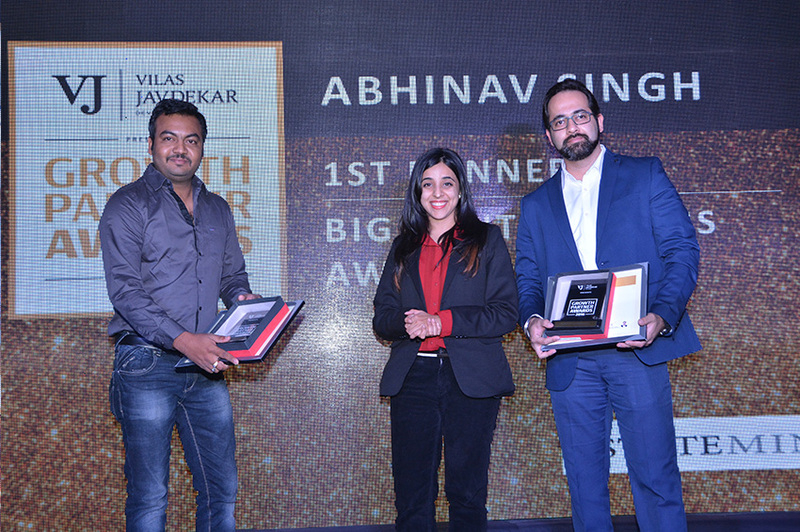 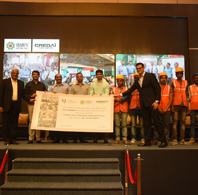 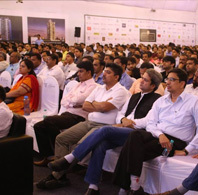 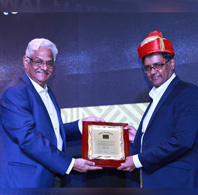 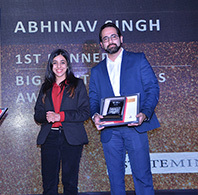 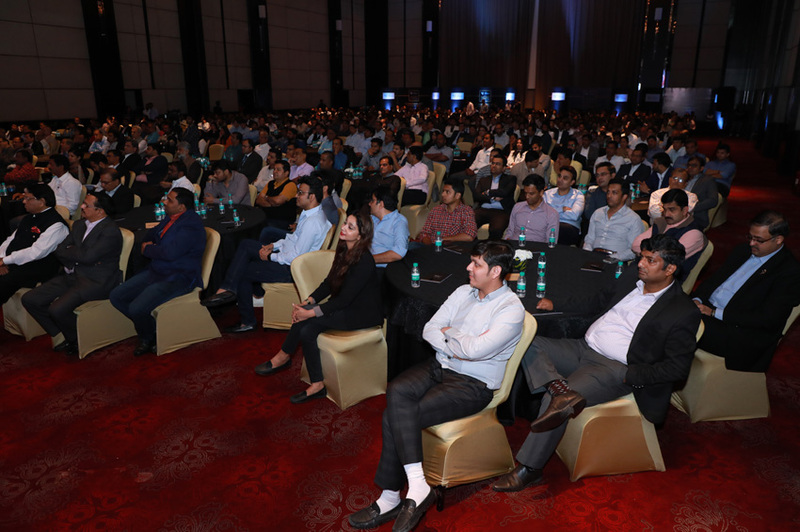 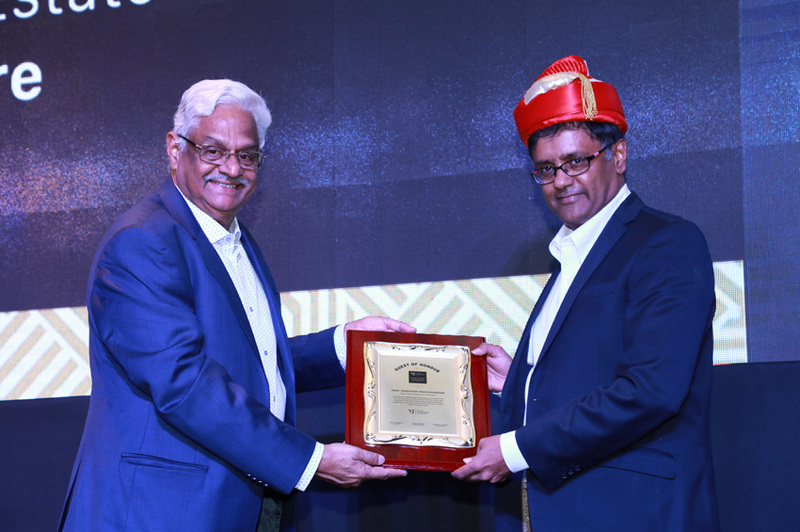 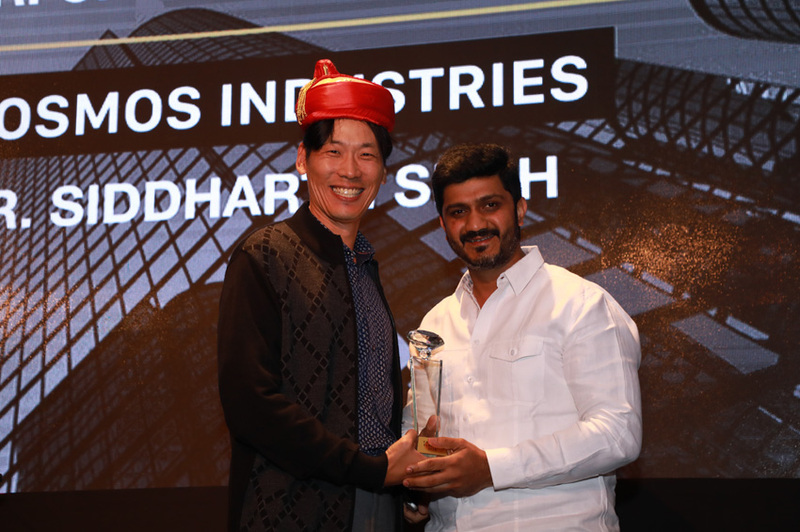 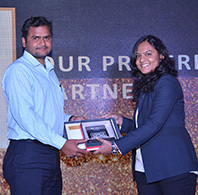 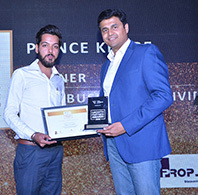 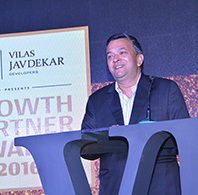 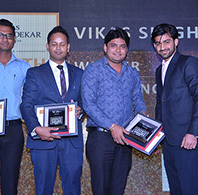 We had our first Growth Partner's Awards event in December 2015. 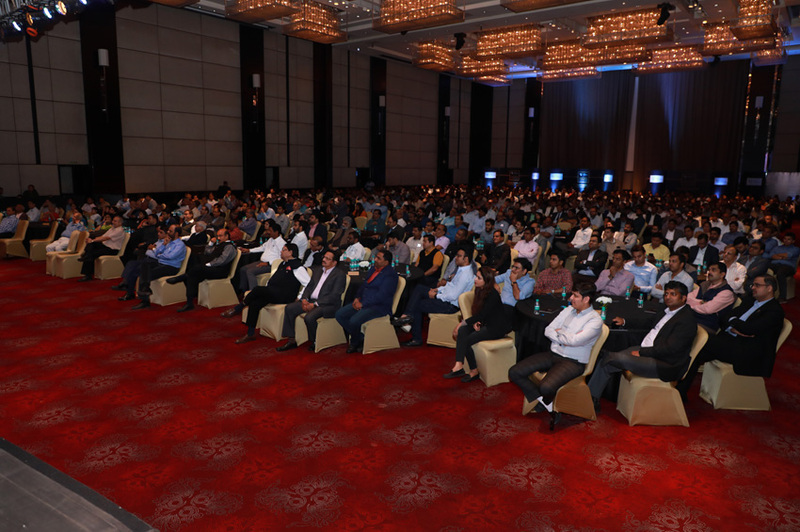 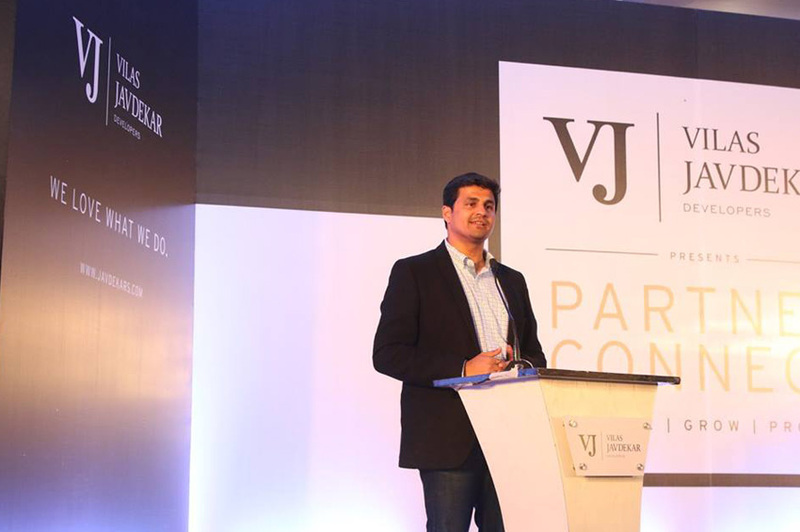 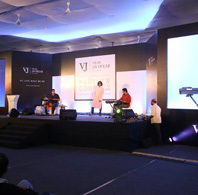 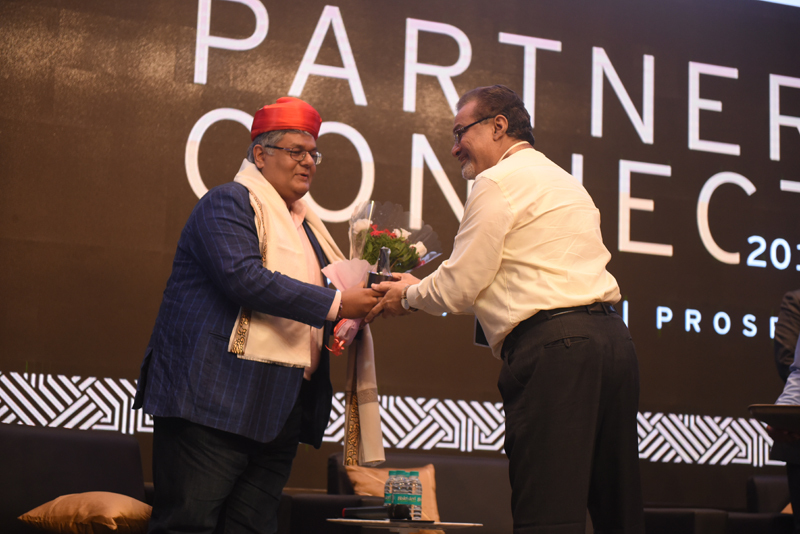 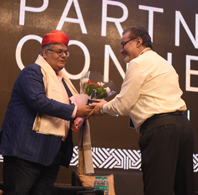 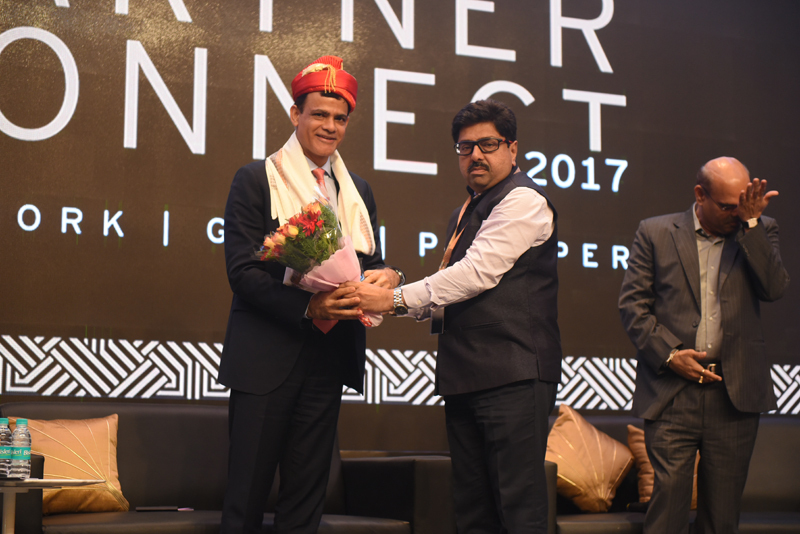 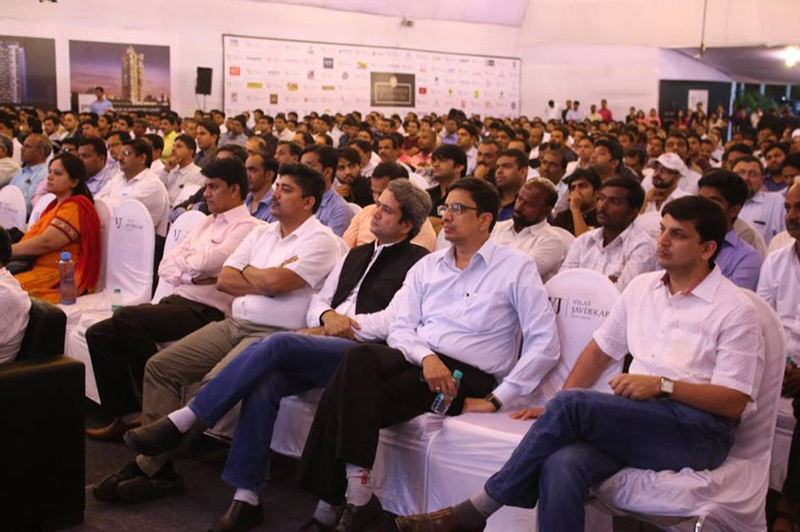 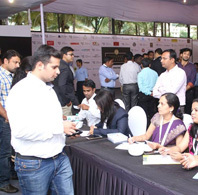 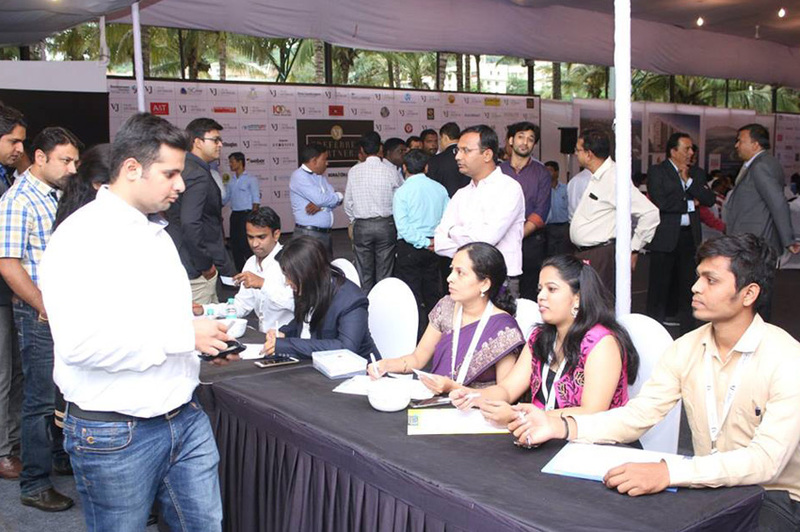 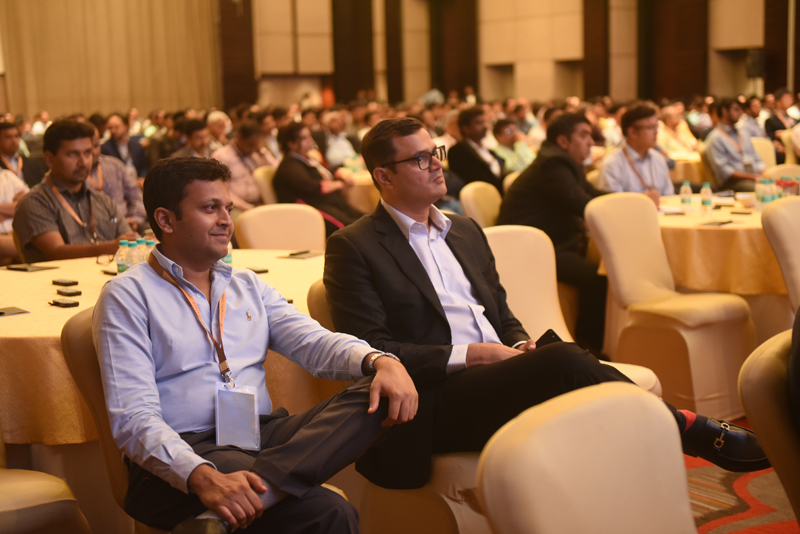 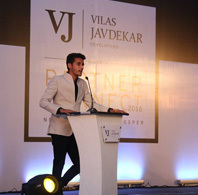 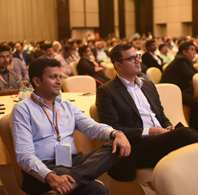 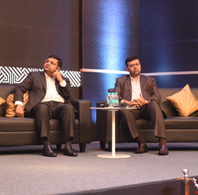 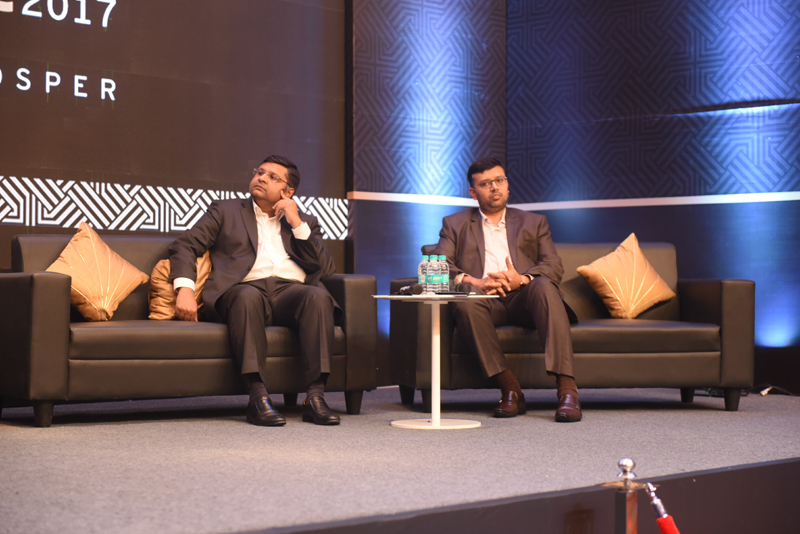 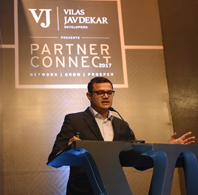 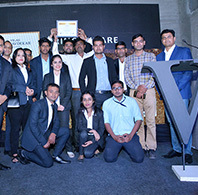 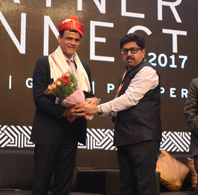 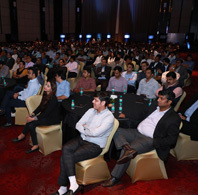 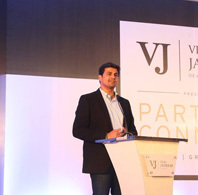 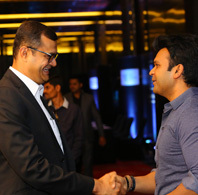 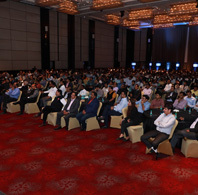 'Partner Connect' is Vilas Javdekar Developers' annual signature event, organised exclusively for our partners. 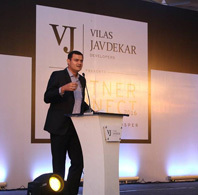 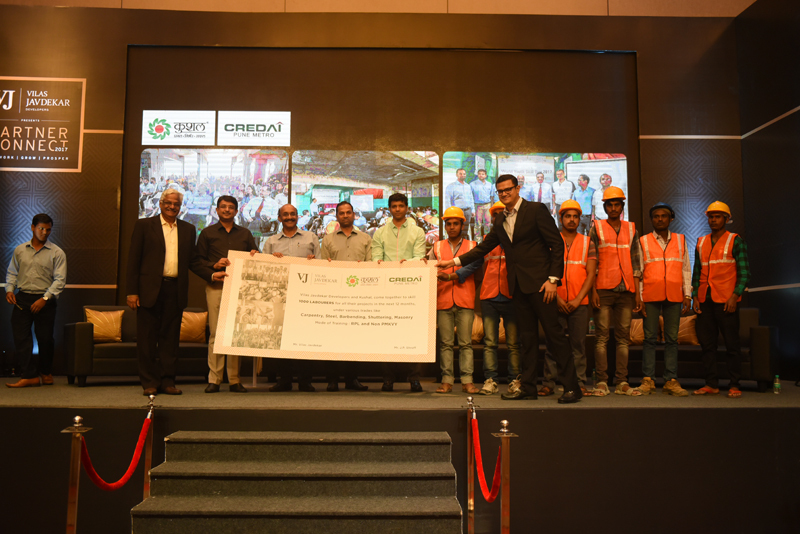 We take Partner Connect as an opportunity to felicitate their strides and achievements with Vilas Javdekar. 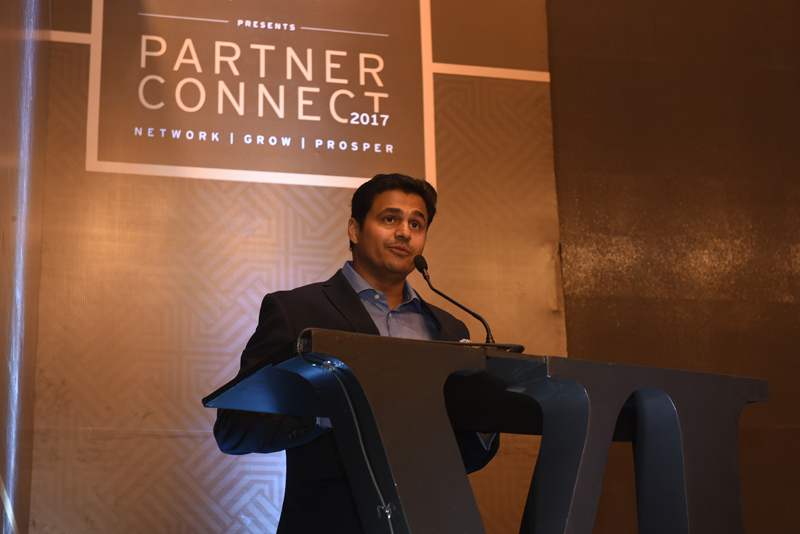 An evening of business forecasts, industry trends, networking and warm discussions make Partner Connect an event to look forward to. 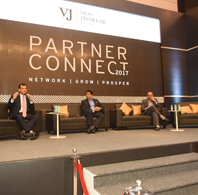 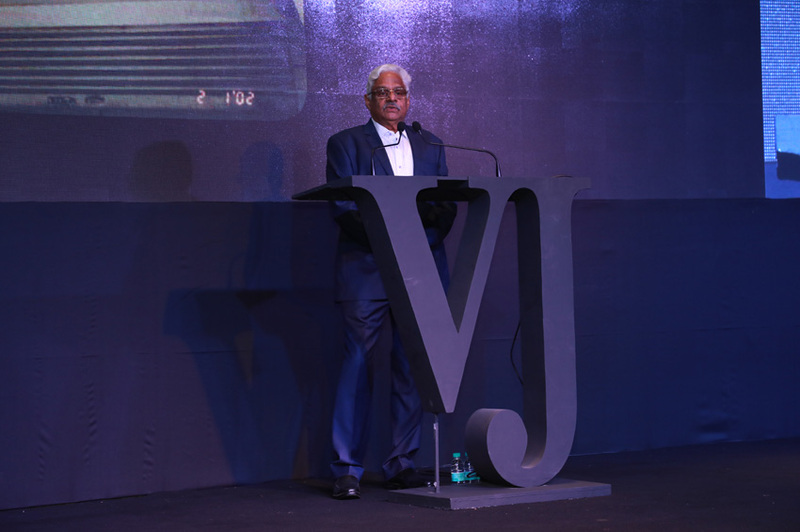 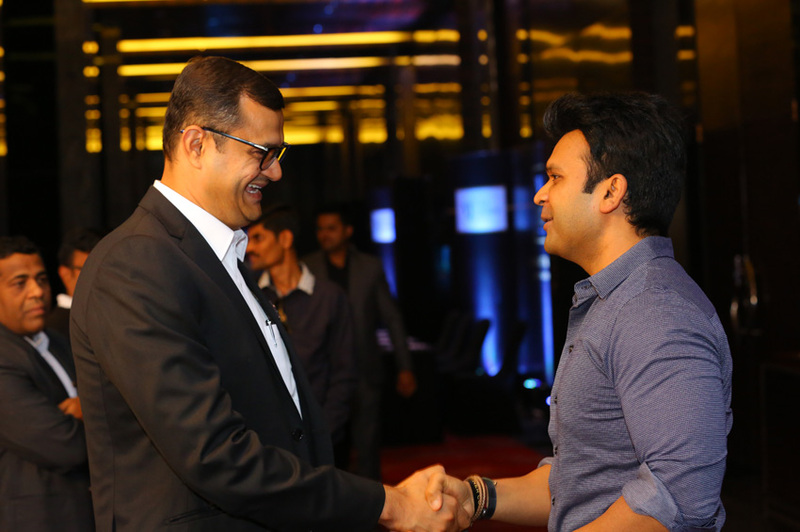 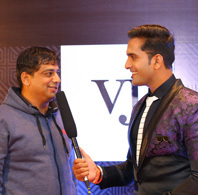 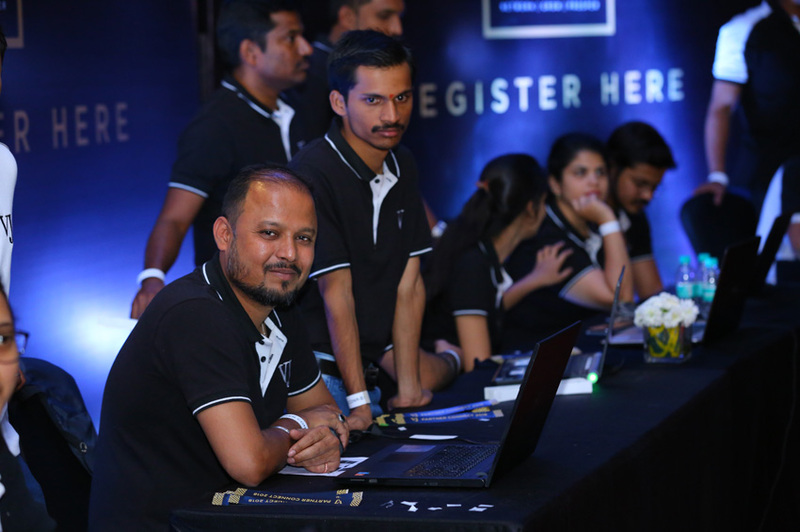 The fifth edition of VJ Partner Connect 2018 was a grand yet cosy gathering of the ever-growing network of VJ's partners. 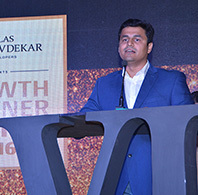 The evening was dedicated to recognising and celebrating the valued contribution of our growth partners and understanding the future of real estate. 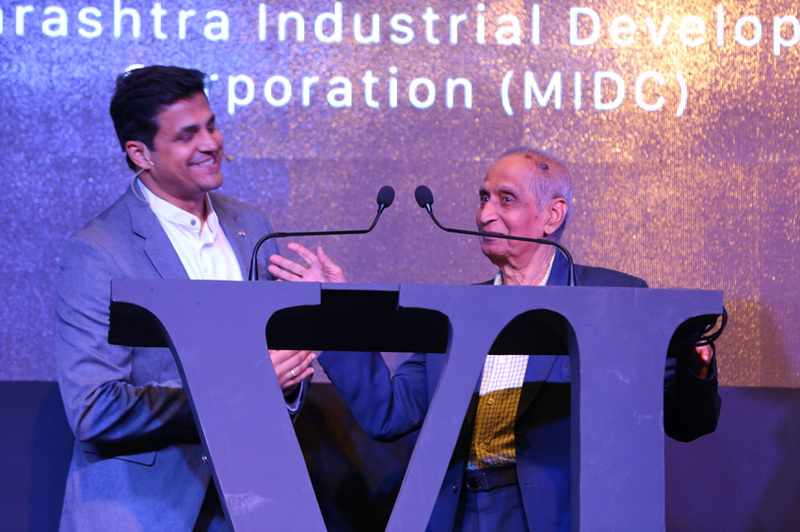 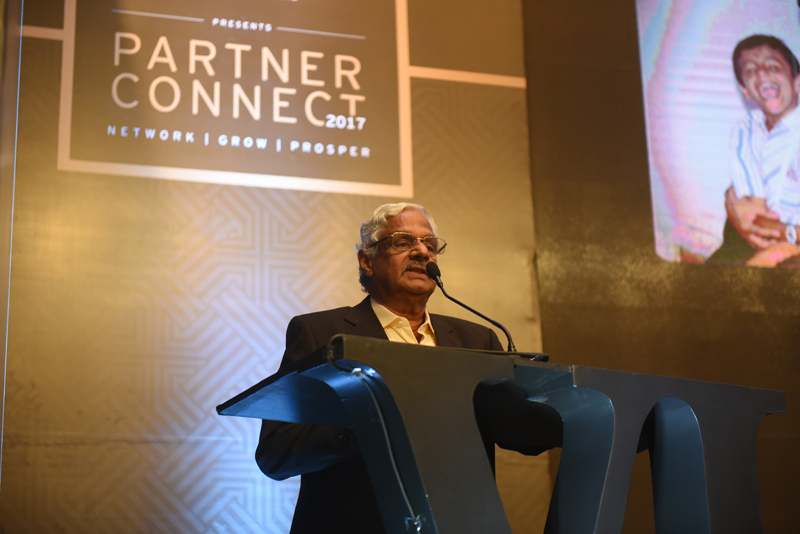 The event was made even more special by the presence of Mr. YV Deshpande, who mentored Mr. Vilas Javdekar through the course of his life. 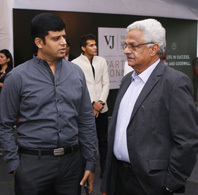 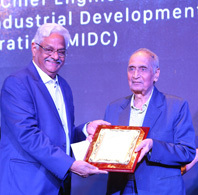 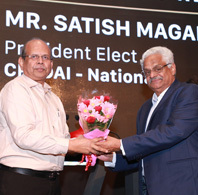 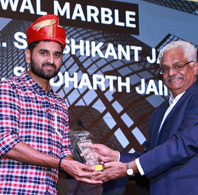 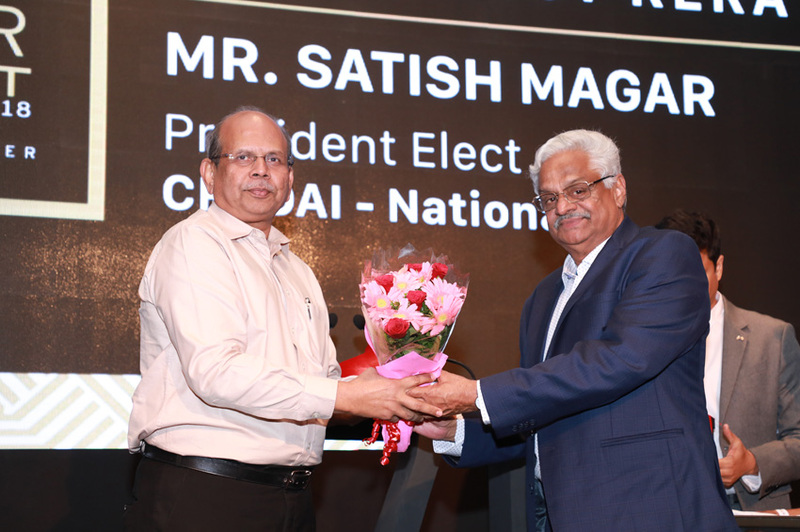 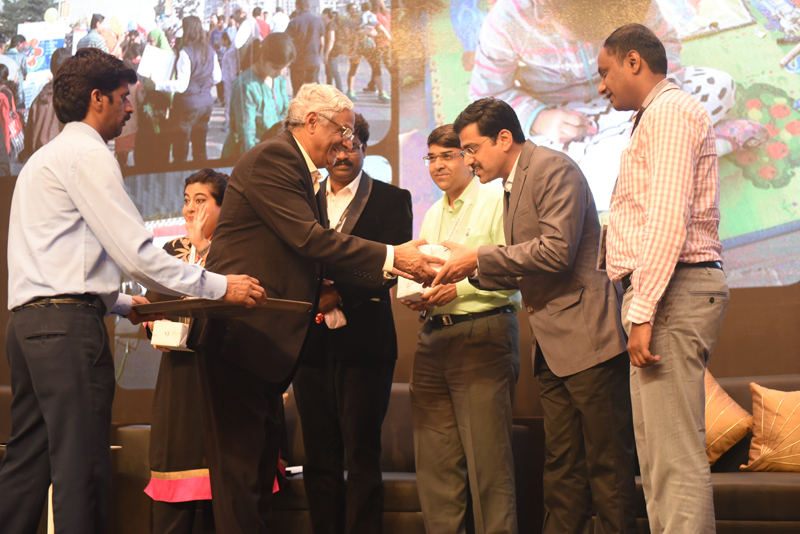 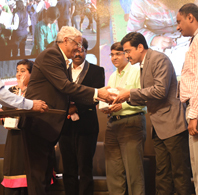 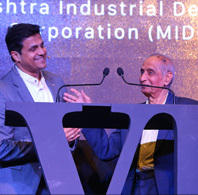 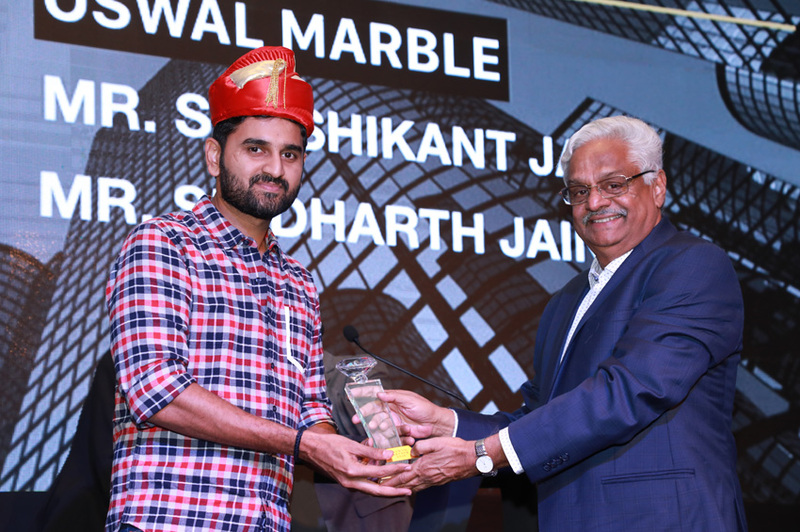 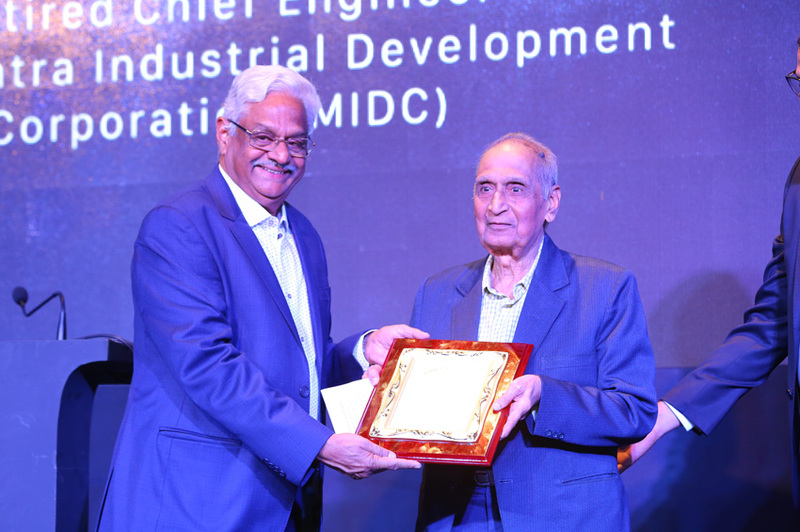 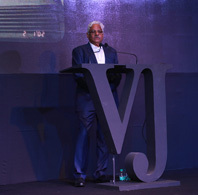 Mr. Deshpande was felicitated with a Scroll of Honour. 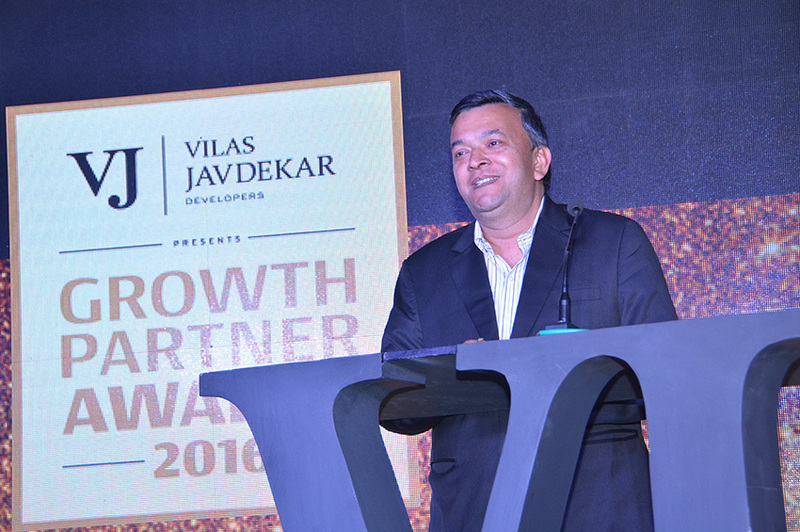 With every passing year, the bond we share with our partners, associates and consultants, continues to grow stronger. 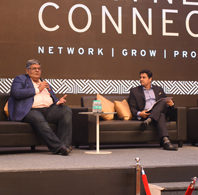 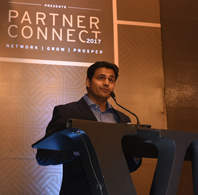 Raising a toast to this association and updating the collective industry knowledge, Partner Connect 2017 took place on 27 July 2017. 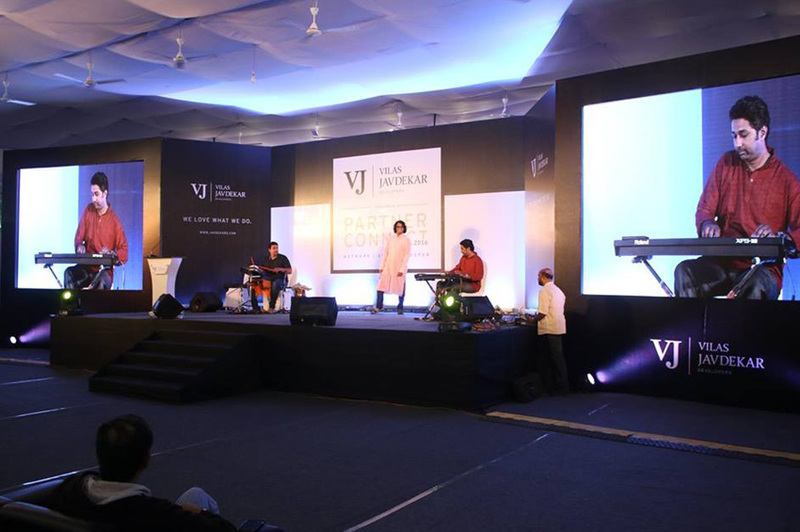 The warmth-filled evening made for ever-lasting memories. 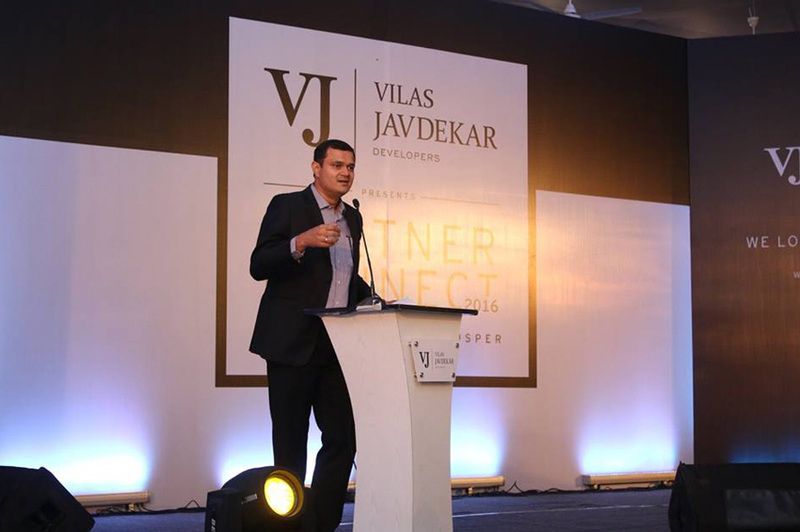 We at Vilas Javdekar Developers feel extreme gratitude towards our partners, associates and consultants for their unwavering support and faith over the years. 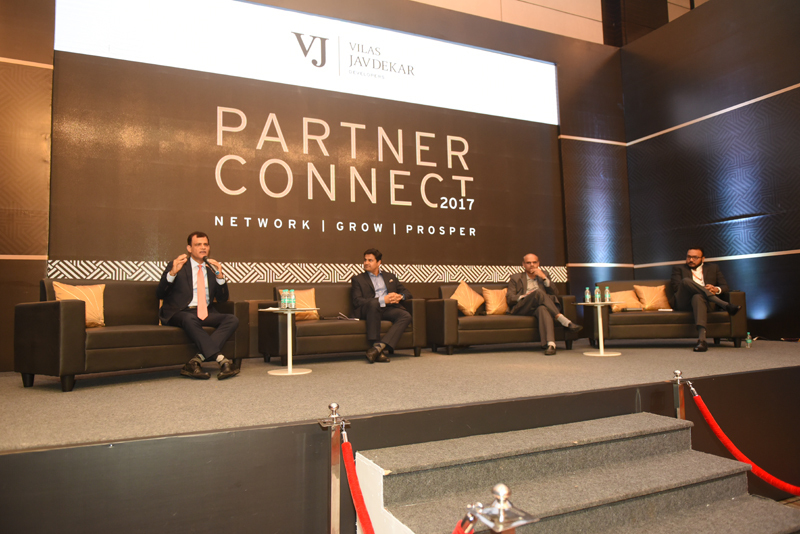 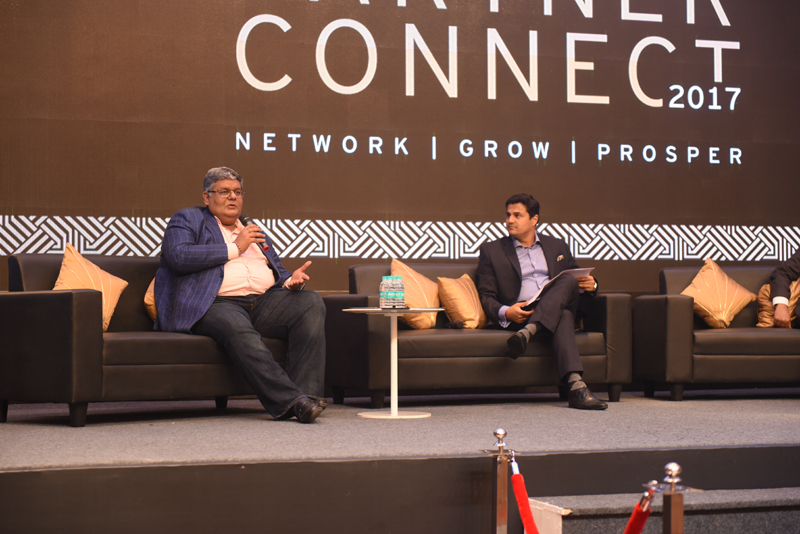 To further strengthen our bond, we organised our annual networking event - Partner Connect, on 27th July, 2016. 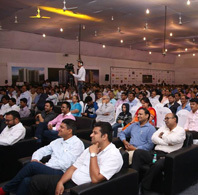 Take a look at the glimpse of this event. 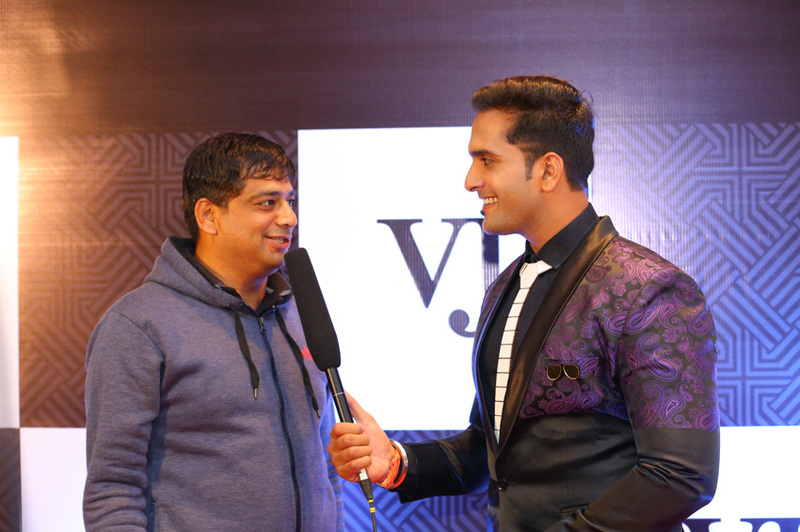 We take immense pride in showcasing the talent of our contributors. 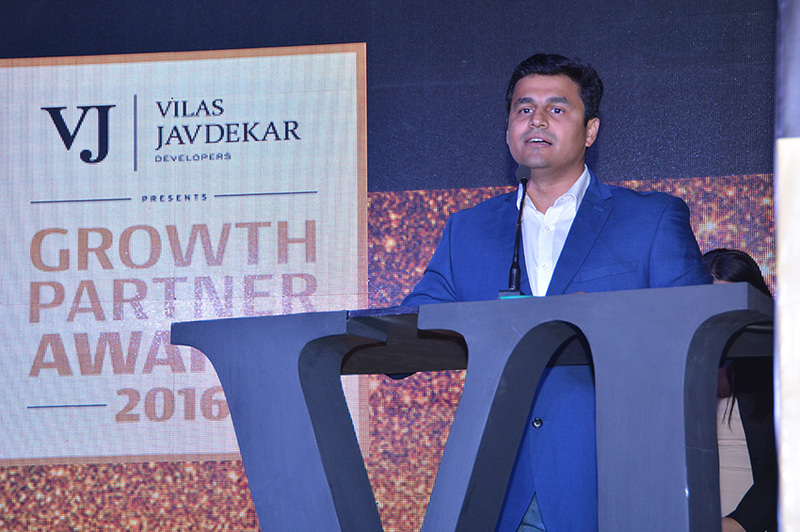 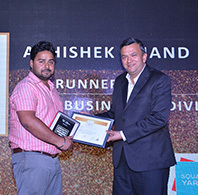 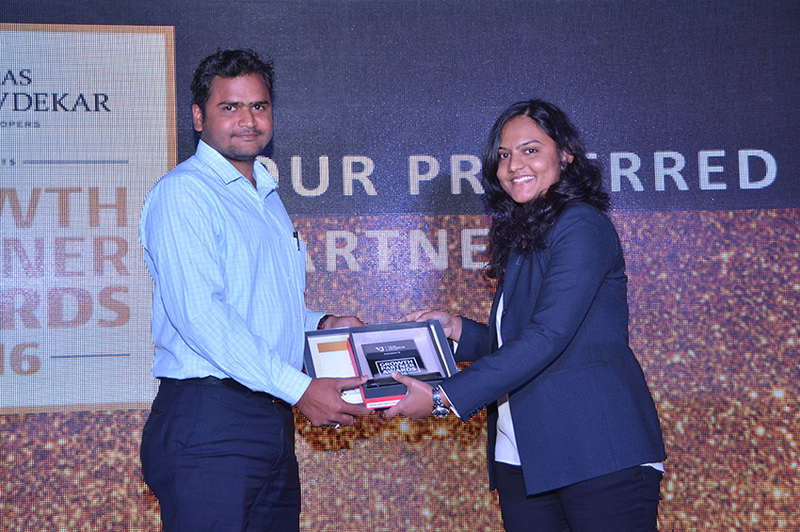 To appreciate their remarkable efforts we host ‘Growth Partner Awards’ every year. 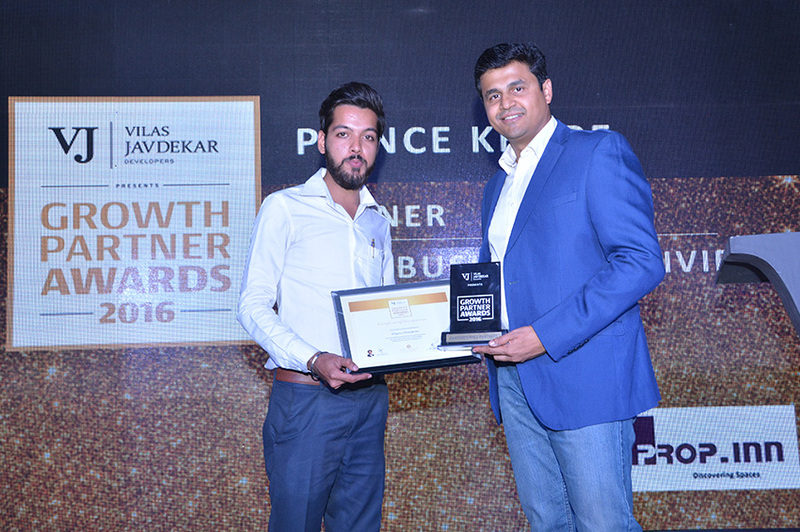 The felicitation of the year 2016 took place in Portia, One Pallod Farms, Baner, Pune on 19th January 2017.